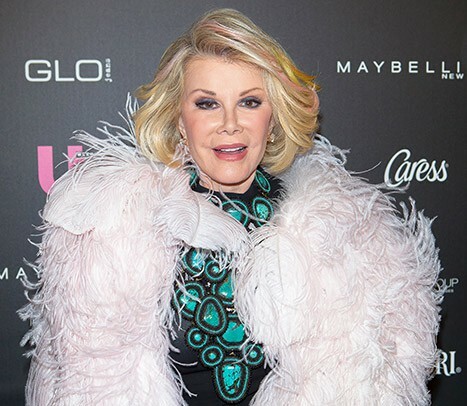 The clinic where Joan Rivers had a fatal routine surgery “failed to identify deteriorating vital signs and provide timely intervention,” an investigation by the Department of Health and Human Services Center for Medicare and Medicaid Services has revealed. Yorkville Endoscopy also failed to properly document how much of the sedative Propofol was used, and the report confirms that people in the room photographed Joan with a cell phone while she was sedated, according to ABC News. Rivers, 81, died on Sept. 4, one week after undergoing an outpatient throat procedure at the clinic to treat voice changes and acid reflux. During surgery, Rivers stopped breathing and went into cardiac arrest. Last month, the New York City Office of Chief Medical Examiner ruled Joan ultimately died of a lack of oxygen to her brain. Following the comedian’s death, the New York State Health Department launched a routine investigation of Yorkville Endoscopy, only to find lapses in four categories necessary for accreditation: governing body and management, surgical services, medical staff, and patient rights.